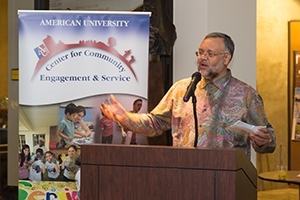 Top 10 Campus Life Stories of 2013 | American University, Washington, D.C. The past calendar year has been just one more marked by progress and achievement in Campus Life at American University. From successfully implementing campus-wide initiatives to opening new departments and spaces for student support, Campus Life has been built on its commitment to continually improve the university experience. 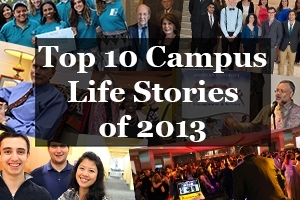 Take a look below for a list (in chronological order) of Campus Life’s top stories from 2013. You may be impressed by the news, but you won’t be surprised. Black ties, music, and Abraham Lincoln’s top hat—AU celebrated its 120th in style, holding its annual Founders Day Ball at the Smithsonian Museum of American History. 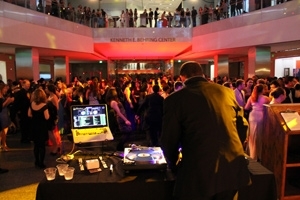 Students enjoyed a night of dancing and full access to all of the museum’s exhibits. 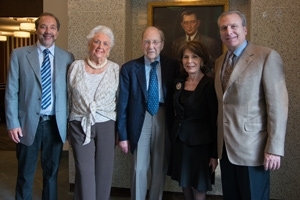 Son of the co-founder and namesake of the Kay Spiritual Life Center, Jack Kay passed away this year at the age of 87. With his passing, the university paused to look back at its history in building one of the nation’s first interfaith houses of worship. A wonk, is a wonk, is a wonk. It may be hard to stand out in such a strong community of peers, but AU students keep on achieving wonders with their studies and campus involvement. 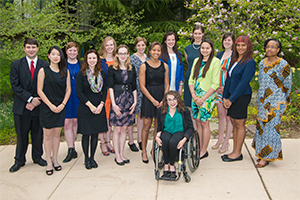 Get to know some of this year’s University Student Award winners. In an effort to integrate its educational services, Campus Life opened the Academic Support & Access Center. 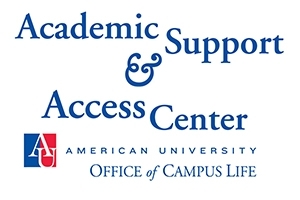 By merging Disability Support Services with the Academic Support Center, the new department now offers everything from tutoring and study tips to disability accommodations, all under one roof. Students, faculty, staff, and visitors can breathe easier on campus now, as the university implemented its Tobacco- and Smoke-Free Policy in August. 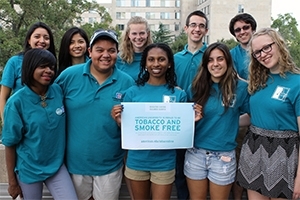 Tobacco-free student ambassadors are helping spread the word as the transition continues. 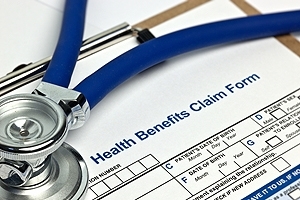 AU is blazing new trails with its now trans-inclusive health insurance program for students. The university’s coverage has expanded to better support its trans student population, making AU one of just a small number of universities nationwide to do so. One of AU’s longest-standing and most-loved programs had its quinceañera this year. For the past 15 years, Alternative Breaks have been taking students out into the world—from the streets of San Francisco to the mountains of Nepal—to get a first-hand look at social justice issues. 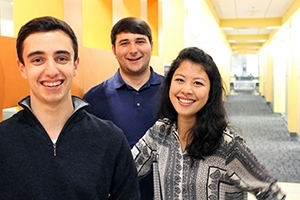 AU students are known for being involved, whether on campus or nationwide. Several students, however, have taken involvement to a whole new level as elected officials in D.C. local government. Hear about the impact they’ve already been able to make. 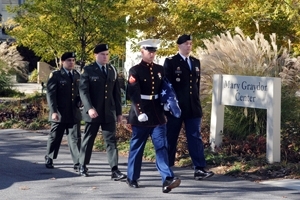 Veterans and their family members are more than welcome at AU. To send that message loud and clear, the university unveiled its Veterans Lounge to promote the student-veteran community on campus and provide easier access to resources. Born and raised in the mountains of Tennessee, AU chaplain Joe Eldridge now occupies a seat on the National Mall. 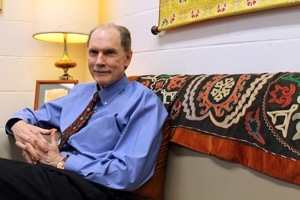 After being approved by the U.S. Senate, Eldridge is now part of the board that steers the direction of the nation’s Institute for Peace. 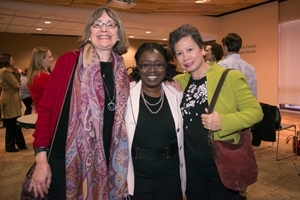 Once an undergraduate international student at AU, Dr. Fanta Aw has risen to the heights of international education. Learn about her election as president and chair of NAFSA, the leading professional association dedicated to international education.